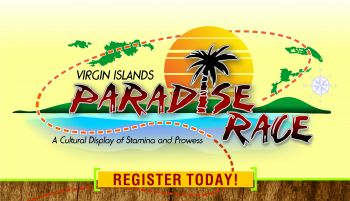 Top Class Promotions, in collaboration with Honourable Melvin M. Turnbull (R2) will be hosting the first annual Virgin Islands Paradise Race on Sunday July 16, 2017 under the theme, “A Cultural Display of Stamina and Prowess." 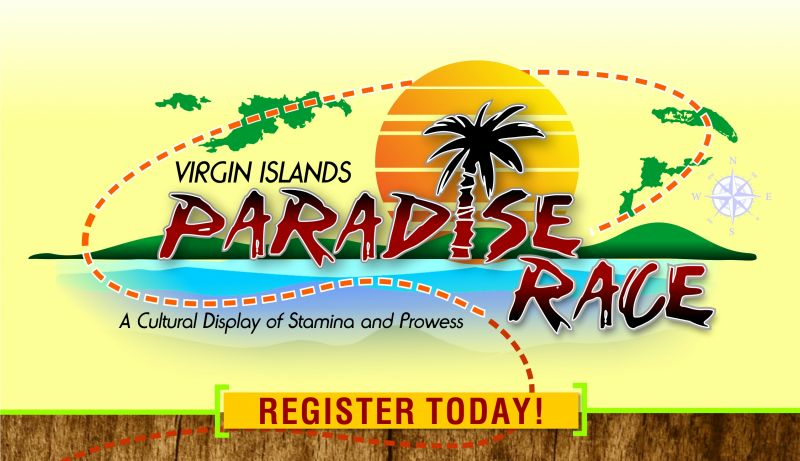 The race is a competitive cultural activity around the [British] Virgin Islands among teams of 4 individuals. 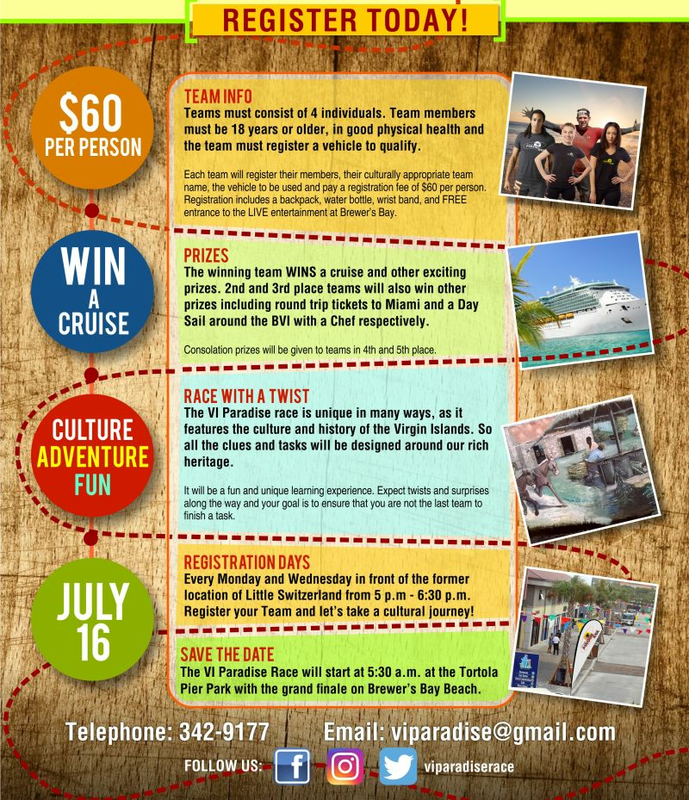 Participants’ main objective is to arrive first at “Pit Stops" and perform challenging tasks related to the culture and history of the Virgin Islands. The race, which will see participants getting around using their vehicles and on foot at some stages, will culminate at Brewer’s Bay Beach where there will be an obstacle event, the prize giving ceremony, a fashion show and live entertainment. This event is being seen as a springboard to the Emancipation celebration and is geared towards community building, cultural awareness and promoting the historical perspective of the uniqueness of the Virgin Islands. The organisers are hopeful that the event will continue to build momentum locally, regionally and internationally to help promote the VI’s tourism product. The event has also gained the endorsement of the Department of Culture and is being promoted as “An event you would not want to miss". 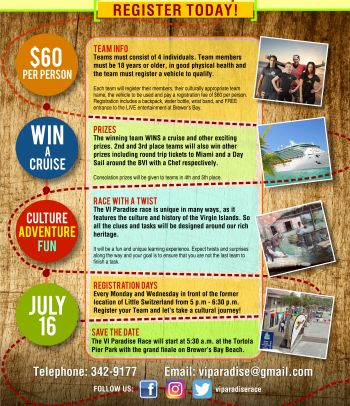 According the Director of Culture, Mrs Luce Hodge-Smith, "the event is poised to be an annual cultural event that will diversify the offerings of Festival and draw a different group of people out from within the BVI, regionally and internationally; one that will help build Virgin Islands cultural awareness in a fun and practical manner." Among the generous prizes that are being proposed are: a cruise for the winning team and round trip tickets to Miami and a day sail with a personal chef to the second and third place winners respectively. Consolation prizes will be given to the other participants. Registration begins on Wednesday June 7, 2017 in front of the former location of Little Switzerland from 5:00 PM to 6:30 PM. According to organisers, individuals throughout the VI and visitors alike are welcomed to participate. go where back to the states? So isnt this just another treasure hunt like Rotary run? Idea stolen by government? But rotary raises funds for charity. Lodger don't be a party poper. So sorry it wasn't your idea. I bringing my team. I want da cruise. Me and my girl dem coming. I like how it sound.